All Esha knows about love is what she’s experienced with her best friend, Ayush. But Ayush is old-fashioned and wants her to go to America with him, forsaking her ailing father. 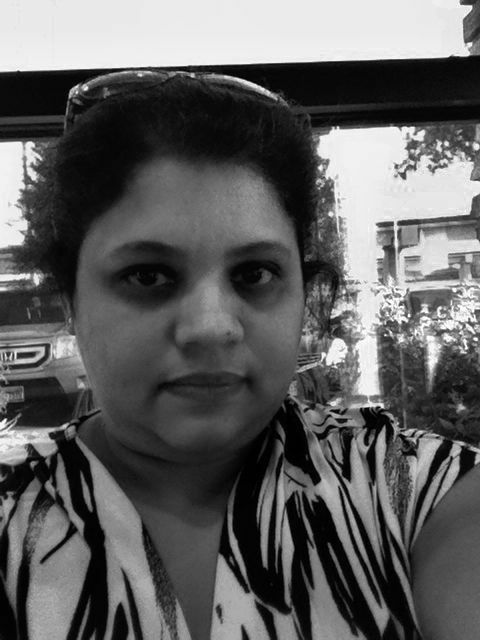 For Esha, who lost her mother to cancer when she was young, that prospect is unthinkable. Her father is dying of cancer, and she has no way to fund his treatment. Relatives ditch her and Ayush’s mother doesn’t want him burdened with sickness. Even Ayush cannot understand why she thinks it’s her duty. Enter Rohan, her boss, who is stuck in a family situation of his own, and needs a wife. He has looks, charm, and most importantly, he has money. And he’s willing to help. Esha goes into a marriage contract with her boss under the watchful eye of the entire company; she becomes the wife so he can deal with his family, and he provides the money for her father’s treatment. 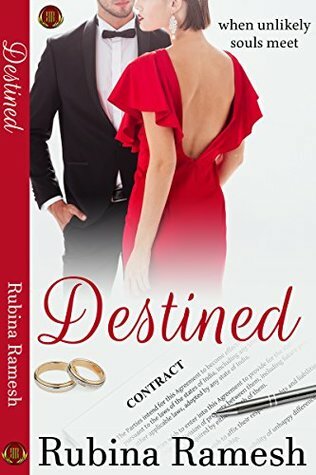 I enjoyed the author’s take on contract marriages. It starts out all business at first, but gets complicated when they both fall for each other. The author touches on social themes of Indian traditions where a woman is expected to care for her husband’s family, and a son is expected to take care of his. So who takes care of aging parents who only have a daughter? As social norms break, more and more daughters are found taking care of parents, and it sets a great example for the youth to follow. It also helps that she’s strong and stunning and he’s hot, and their interactions are electric, the steamy scenes believable, the dialogue pert, the story concise and crisp. Great job by Ms. Ramesh. Esha Mehra could have taken care of her father, only if she had some support from her fiancé. But he had his priorities set and her sick father was nothing but a burden. Esha didn't have any other choice but to apply for a loan from her office. But she had not banked on the fact that the Head of Geno Technologies needed her for other reasons. When Rohan Sharma saw Esha for the first time, he felt she was the one. He had no intention of falling in love with her for the pain of the past was still too much to bear. But he did need Esha as a decoy to his plan. But Esha was not a damsel in distress who would bend to his will easily. While he was sure that he would marry her only for six months, he still couldn’t understand why he felt a searing jealousy every time, her ex-fiancé Ayush’s name was mentioned. While these two souls had other plans in their lives, Destiny conspires to bring them together. But will the stench of Death let them live their lives? On seeing her, he grinned. "There goes my dream of my bride sitting on the bed with a long veil over her face that I could slowly lift up." Esha laughed. "Do it in your real wedding." Rohan felt a jolt at her words though his feelings had stopped making any sense at all. He found her pajama-clad wet avatar very sensual. Her hair was wet from the shower and a few droplets fell on her collarbone, like dew drops on a rose petal. Now that he was finally alone with Esha, he wanted to further muss up her hair and kiss those wet pearls away. But never had he imagined that he would be alone in a room with her amidst roses and that her intoxicating perfume would drive him crazy. Theirs wasn't a marriage in the true sense and yet her lips were calling out to him to feel them with his own. But he was sure that she wouldn't appreciate it. He forced himself to lean back on the pillow and give her an easy smile to fight his raging hormones. "So, which side of the bed is yours?" She looked at him sharply to check if he was laughing at her predicament. She then went to her purse and took out a tape—a big, brown one. "Naughty, naughty," he said sitting up, suddenly feeling the air crackling between them with an invisible electric thread that was slowly pulling them towards each other. "What's your intention darling?" Esha gave him an evil grin and sashayed towards him, all the while opening the tape. "You didn't think I would be prepared?" she asked, her voice husky. Any hot-blooded man would find this a big turn-on but Rohan sat up straight, wondering if she was drunk. "Esha, I think we should go to sleep now." He gave her a sheepish smile. "It's getting very late." She threw back her head and laughed, "The night is still young, darling." She opened the tape further and climbed on the bed, inching slowly towards him as she rolled it out. Rohan could feel his heart skipping a few beats. He wanted her no doubt, but he was not expecting this and her strange behavior made him uncomfortable. "Do you want something to eat?" He sounded lame even to himself. She threw her head back and looked at him, her sherry colored eyes darkening into molten chocolate, and the light breeze from the window caught her silk tresses and made them dance to a tune of their own. She bit her lower lip and leaned in front of him, staring deep into his eyes. "Are you nervous?" "Why are you behaving like this?" he asked, trying to get out of the bed. He felt an invisible hand clutching his stomach but he kept his tone breezy. "Are we taking this night to mean what it is meant to be? I'm ready if you are." If she took another step forward, her breasts would touch him. What the devil was she playing at? He couldn't even lean back further since the head rest was stopping any further movement. She leaned forward but instead of coming towards him, she went beyond him and stuck the edge of the tape to the middle of the bed post. She then pulled the tape down – further and further and a line was drawn along the middle of the bed.